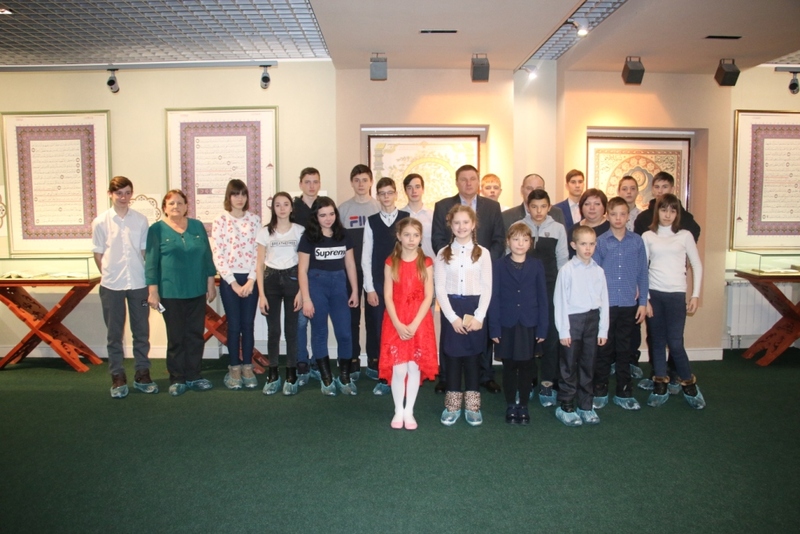 On February 11, 2019, the employee of the Department of educational activities of the Bulgarian Museum Sabirova L. A. together with the staff of “complex center of social services of the population “” Dawn” “held the evening of the meeting” Afghanistan – living memory “with veterans – participants of the fighting in Afghanistan and students of the 9th grade of”Bulgarian correctional boarding school”. 30 years ago, a significant event happened for our country. February 15, 1989 – this date went down in history as the day of the withdrawal of Soviet troops from Afghanistan. Afghan events began on 25 December 1979, when the first echelon of the 103rd airborne division landed in Kabul and ended on 15 February 1989. Afghan war… It went down in history and in less than ten years claimed many thousands of lives of soldiers-internationalists. This war touched many families with its black wing, bringing with it zinc coffins, legless, armless, blind, seriously ill young people. The war in Afghanistan is a grief, first of all, of those who directly participated in it. For the rest, it is distant, alien, incomprehensible, although closer in time. The day of 15 February is not only a tribute to the memory of all the victims, but also an expression of the deepest gratitude and gratitude to all those who have returned home, who honestly and courageously fulfilled their military duty in the Democratic Republic of Afghanistan. At a meeting with the students came the veterans of the Afghan war, Spassky municipal district – Baryshkin In and Kolchugin, V. I. At the beginning of the event the students were given brief information about the Afghan war, which has left an indelible mark in the lives of thousands of people and their countrymen, then watched the video. For veterans read poems students MBOU “baryatinskaya Srednyaya SHKOLA-municipal No. 2” Sabirova Liana, Irina Lukashin, filistovic Arina Volkov Mikhail. The librarian Alekseev Yu was introduced to books about Afghanistan, what they have in the library. One of the key moments of the meeting was a visit to the exhibition of one subject – the Soviet soldier-internationalist Sorokin N. Ah. – his Komsomol ticket filled with blood. He, at the cost of his life saved wounded comrades. The event continued with a tour, and ended with a tea party in a warm, friendly atmosphere. Our meeting, we called “Living memory”. It is a living memory, because those who fought in Afghanistan, Chechnya and other “hot spots”are alive. Alive, because the memory of the dead is kept sacred by their comrades in arms, their families and loved ones. And this memory will live as long as we remember it, as long as we talk about it.